Other Names*: Sallie Bowers, Sallie Elizabeth Bowers Almond, Sallie Bowers Almond, Sallie Elizabeth Almond, Sallie Almond. [S961] Find A Grave, online at http://www.findagrave.com, memorial for Sallie Elizabeth Bowers Almond, memorial no. 44202963, viewed on 9 Apr 2017. [S27] John Wright Boyd, A Family History: Lt. Thomas Fortson, etc., above, p. 695 (spelling his first name as Jerral and naming Sallie Elizabeth Bowers as his mother). [S961] Find A Grave, online, above, memorial for Jerrol Wade Almond, memorial no. 129830481, viewed on 9 Apr 2017 (naming Sallie Elizabeth Bowers Almond as his mother). Other Names*: Jerrol Almond, Jerral Wade Almond, Jerral Almond. • His Find A Grave memorial, which includes his obituary and picture, is here. [S27] John Wright Boyd, A Family History: Lt. Thomas Fortson (1742-1824) and Some of His Descendants—Early Settler of Elbert County, Georgia (Danielsville, Ga.: Heritage Papers, 1973), p. 695 (spelling his first name as Jerral and naming Jesse Wester Almond as his father). [S961] Find A Grave, online at http://www.findagrave.com, memorial for Jerrol Wade Almond, memorial no. 129830481, viewed on 9 Apr 2017 (naming Wester Jesse Almond as his father). [S27] John Wright Boyd, A Family History: Lt. Thomas Fortson, etc., above, p. 695 (spelling his first name as Jerral). [S961] Find A Grave, online, above, memorial for Jerrol Wade Almond, memorial no. 129830481, viewed on 9 Apr 2017. Other Names*: Myrtice Fleming, Myrtice Ora Fleming Almond, Myrtice Fleming Almond, Myrtice Ora Almond, Myrtice Almond. [S961] Find A Grave, online at http://www.findagrave.com, memorial for Myrtice F. Almond, memorial no. 44202957, viewed on 9 Apr 2017. [S27] John Wright Boyd, A Family History: Lt. Thomas Fortson (1742-1824) and Some of His Descendants—Early Settler of Elbert County, Georgia (Danielsville, Ga.: Heritage Papers, 1973), p. 695 (giving his name as S. Milton Almond). [S961] Find A Grave, online at http://www.findagrave.com, memorial for Pleasant Mattox Glenn, memorial no. 44204845, viewed on 9 Apr 2017. Other Names*: Eloise Smith Almond, Eloise Almond. [S27] John Wright Boyd, A Family History: Lt. Thomas Fortson (1742-1824) and Some of His Descendants—Early Settler of Elbert County, Georgia (Danielsville, Ga.: Heritage Papers, 1973), p. 695 (giving the date but not the place). [S961] Find A Grave, online at http://www.findagrave.com, memorial for Eloise Smith Almond, memorial no. 147717930, viewed on 9 Apr 2017. Other Names*: Mackajah Almond, Mac Almond. [S27] John Wright Boyd, A Family History: Lt. Thomas Fortson (1742-1824) and Some of His Descendants—Early Settler of Elbert County, Georgia (Danielsville, Ga.: Heritage Papers, 1973), p. 696 (naming Jasper Louise Fortson as his mother). [S961] Find A Grave, online at http://www.findagrave.com, memorial for Mackajah Mac A. Almond, memorial no. 44202951, viewed on 10 Apr 2017. Other Names*: Edna Almond, Edna Early Almond Teasley, Edna Almond Teasley, Edna Early Teasley, Edna Teasley. [S27] John Wright Boyd, A Family History: Lt. Thomas Fortson (1742-1824) and Some of His Descendants—Early Settler of Elbert County, Georgia (Danielsville, Ga.: Heritage Papers, 1973), p. 696 (naming Thomas Early Almond as her father). [S961] Find A Grave, online at http://www.findagrave.com, memorial for Edna Early Almond Teasley, memorial no. 44207754, viewed on 10 Apr 2017. [S961] Find A Grave, online, above, memorial for Edna Early Almond Teasley, memorial no. 44207754, viewed on 10 Apr 2017 (not giving the date). [S961] Find A Grave, online, above, memorial for John Martin Teasley, memorial no. 44207758, viewed on 10 Apr 2017 (not giving the date). Note*: He and his wife were third, fourth, and fifth cousins. [S27] John Wright Boyd, A Family History: Lt. Thomas Fortson (1742-1824) and Some of His Descendants—Early Settler of Elbert County, Georgia (Danielsville, Ga.: Heritage Papers, 1973), p. 696 (naming Thomas Early Almond as his father). [S961] Find A Grave, online at http://www.findagrave.com, memorial for Hood L. Almond, memorial no. 44202942, viewed on 10 Apr 2017. [S961] Find A Grave, online, above, memorial for Mary Hazel Webb Almond, memorial no. 135408985, viewed on 10 Apr 2017. [S961] Find A Grave, online at http://www.findagrave.com, memorial for John Martin Teasley, memorial no. 44207758, viewed on 10 Apr 2017 (naming Martin Gilmer Teasley as his father). [S961] Find A Grave, online, above, memorial for Martin Gilmer Teasley, memorial no. 84677748, viewed on 10 Apr 2017 (naming Martin Gilmer Teasley as his father). [S961] Find A Grave, online, above, memorial for John Martin Teasley, memorial no. 44207758, viewed on 10 Apr 2017 (naming Nora Lillian Brown as his mother). [S961] Find A Grave, online, above, memorial for Nora Lillian Brown Teasley, memorial no. 84678024, viewed on 10 Apr 2017 (naming Nora Lillian Brown as his mother). [S961] Find A Grave, online, above, memorial for John Martin Teasley, memorial no. 44207758, viewed on 10 Apr 2017. [S961] Find A Grave, online at http://www.findagrave.com, memorial for Martin Gilmer Teasley, memorial no. 84677748, viewed on 10 Apr 2017. [S961] Find A Grave, online, above, memorial for Nora Lillian Brown Teasley, memorial no. 84678024, viewed on 10 Apr 2017. [S961] Find A Grave, online, above, memorial for John Martin Teasley, memorial no. 44207758, viewed on 10 Apr 2017 (naming Martin Gilmer Teasley as his father). Other Names*: Nora Brown, Nora Lillian Brown Teasley, Nora Brown Teasley, Nora Lillian Teasley, Nora Teasley. [S961] Find A Grave, online at http://www.findagrave.com, memorial for Nora Lillian Brown Teasley, memorial no. 84678024, viewed on 10 Apr 2017. [S961] Find A Grave, online, above, memorial for Martin Gilmer Teasley, memorial no. 84677748, viewed on 10 Apr 2017. Other Names*: Mary Webb, Mary Hazel Webb Almond, Mary Webb Almond, Mary Hazel Almond, Mary Almond. [S961] Find A Grave, online at http://www.findagrave.com, memorial for Mary Hazel Webb Almond, memorial no. 135408985, viewed on 10 Apr 2017 (naming Dalton William Webb as her father). [S961] Find A Grave, online, above, memorial for Dalton William Webb, memorial no. 36191489, viewed on 10 Apr 2017 (naming Dalton William Webb as her father). [S961] Find A Grave, online, above, memorial for Mary Hazel Webb Almond, memorial no. 135408985, viewed on 10 Apr 2017 (naming Mary Thomas Fortson Webb as her mother). [S961] Find A Grave, online, above, memorial for Mary Thomas Fortson Webb, memorial no. 36191284, viewed on 10 Apr 2017 (naming Mary Thomas Fortson Webb as her mother). [S961] Find A Grave, online, above, memorial for Hood L. Almond, memorial no. 44202942, viewed on 10 Apr 2017. Scrapbook*: "MARRIAGE OF MISS PFOUTS. [S1374] The Dallas Daily Herald, Dallas, Tex., online at http://www.newspapers.com, 26 Feb 1880, p. 1, col. 6. [S1255] The Austin Weekly Statesman, Austin, Tex., online at http://www.newspapers.com, 14 Dec 1882, p. 4, col. 5. [S1255] Austin Weekly Statesman, Austin, Tex., above, 14 Dec 1882, p. 4, col. 5 (datelined Dallas, Texas, 9 Dec 1882). Scrapbook*: "At 8"30 o'clock yesterday morning [9 Jul 1884], at the residence of Judge A. W. Terrell, Mr. Alonzo Millett, of San Antonio, was married to Miss Bessie Anderson, of Austin, daughter of Mrs. Terrell, the ceremony being performed by Rev. Dr. Howard, of the Baptist church. "The guests numbered about fifty, and the simplicity and appropriateness of the ladies attire spoke volumes for the intelligence of the city. The bride looked never more lovely than as she stood by the side of the groom, before the man of God. The presents were numerous and recherche, and the breakfast most elegant. [S1255] The Austin Weekly Statesman, Austin, Tex., online at http://www.newspapers.com, 10 Jul 1884, p. 5, col. 2. [S1376] The Galveston Daily News, Galveston, Tex., online at http://www.newspapers.com, 18 Dec 1884, p. 1, col. 3. [S1378] The Daily Times, Salisbury, Md., online at http://www.newspapers.com, 30 Oct 1985, p. 2, cols. 5 and 6 (obituary of Mary N. Hyland) (naming John A. Hyland as her father). [S1378] The Daily Times, Salisbury, Md., above, 30 Oct 1985, p. 2, cols. 5 and 6 (obituary of Mary N. Hyland) (naming Henrietta Howard Hyland as her mother). [S1378] The Daily Times, Salisbury, Md., above, 30 Oct 1985, p. 2, cols. 5 and 6 (obituary of Mary N. Hyland) (not giving the date but stating that she was ninety-three years old when she died on 25 Oct 1985). [S1378] The Daily Times, Salisbury, Md., above, 30 Oct 1985, p. 2, cols. 5 and 6 (obituary of Mary N. Hyland). Marriage*: He married Henrietta Howard. Marriage*: She married John A. Hyland. [S1378] The Daily Times, Salisbury, Md., online at http://www.newspapers.com, 30 Oct 1985, p. 2, cols. 5 and 6 (obituary of Mary N. Hyland) (naming Henrietta Howard Hyland as her mother). Other Names*: Mary Hyland, Mary Naudain Hyland Peters, Mary Hyland Peters, Mary Naudain Peters, Mary Peters. [S1340] The Morning News, Wilmington, Del., above, 10 Oct 1942, p. 12, col. 2 (marriage announcement for Miss Mary Naudain Hyland and Lt. Edward A. W. Peters, Jr.) (stating that the ceremony took place at 4:00 p.m. and was performed by Maj. Austin B. Hanna, U.S. Army chaplain). Edward A. W. Peters Jr.
• His biography and his picture are here. [S1340] The Morning News, Wilmington, Del., online at http://www.newspapers.com, 10 Oct 1942, p. 12, col. 2 (marriage announcement for Miss Mary Naudain Hyland and Lt. Edward A. W. Peters, Jr.) (stating that the ceremony took place at 4:00 p.m. and was performed by Maj. Austin B. Hanna, U.S. Army chaplain). [S1379] The News Journal, Wilmington, Del., online at http://www.newspapers.com, 7 Jul 1944, p. 9, col. 1. [S1380] Biography of Capt. Edward A. Peters, Jr., online, above (stating that he died on 6 Jun 1944). 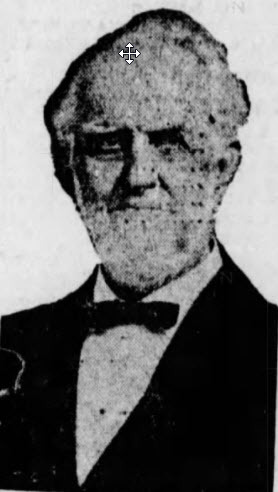 Elias Naudain Moore, from a 1927 newspaper obituary. 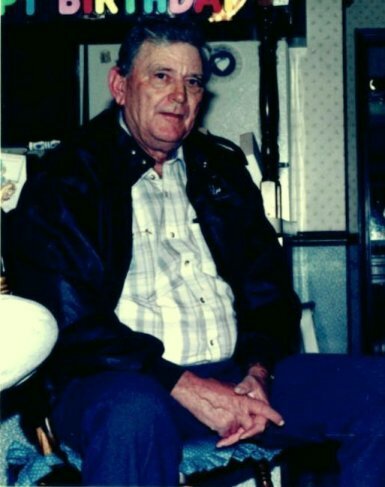 Elias Naudain Moore, 94 years old, one of the best known residents of Delaware, died at his estate, Fairview, near Odessa, this morning following an illness of several months, from complications due to old age. One of the oldest Republicans in the state, Mr. Moore served as a member of the last Constitutional Convention and was a Legislature member. Until a few years ago, he never missed a G. O. P. convention in this state. With the death of Elias Naudain Moore at his estate, Fairview, just below Odessa, there passes away one of Delaware’s most highly respected citizens. He lived to the ripe age of 94 years, and he had an active and useful life. Mr. Moore was always an ardent Republican, and until the last few years a regular attendant at Republican state conventions. He was a former member of the Legislature, and he was a member of the Constitutional Convention which framed the Constitution of the State. That convention was noted for having men of unusual ability who performed an outstanding and important work. He was also a prominent member of the Methodist Episcopal Church. His home was a beautiful place, built by his great-grandfather, Major James Moore, in 1770. During the peach days Mr. Moore was noted as a peach grower, and his father originated the finest white peach raised in Delaware in those days—Moore’s Favorite. This was about the time that the late Clement Reeves, of Delaware City, originated the Reeves’ Favorite, the most luscious and celebrated of yellow fruit. New Castle county, the middle region of it, was then the most noted peach section in the county. Elias Naudain Moore, whose death occurred Monday at his home, Fairview, near Odessa, though of modest demeanor, had an extensive acquaintance which had endeared him to many persons throughout the state. He died in the home where he was born 94 years ago. It is one of the show places in that section of the state, being located about half a mile south of the town, and he was never happier than when he was working about the place. Notwithstanding his advanced age, he had been active until a few weeks ago. Of an exceedingly friendly disposition, it was Mr. Moore’s nature to be doing things that night give comfort or pleasure to others. He took great interest in matters of public welfare, not only in the immediate community, where he was revered by all, but throughout the state as well. He was a valued member of the convention which framed the present state constitution in 1897, and his knowledge, experience and judicial temperament proved helpful to his colleagues in shaping what was to be the new fundamental law of the state. He had also served in the Legislature with equal credit, and many times had been affiliated with the Republican county and state committees. [S961] Find A Grave, online at http://www.findagrave.com, memorial for Elias N. Moore, memorial no. 7735560, viewed on 10 May 2017. [S961] Find A Grave, online, above, memorial for Adaline Virginia Bunn Moore, memorial no. 7735564, viewed on 10 May 2017. [S1343] Journal-Every Evening, Wilmington, Del., online at http://www.newspapers.com, 25 May 1927, p. 6, col. 2 (obituary of Elias Naudain Moore). [S961] Find A Grave, online, above, memorial for Elias N. Moore, memorial no. 7735560, viewed on 10 May 2017 (giving the year but no other information). [S1343] Journal-Every Evening, Wilmington, Del., above, 23 May 1927, p. 1, col. (first bullet). [S1340] The Morning News, Wilmington, Del., online at http://www.newspapers.com, 24 May 1927, p. 4, col. 2 (second bullet). [S1343] Journal-Every Evening, Wilmington, Del., above, 25 May 1927, p. 6, col. 2 (third bullet). Other Names*: Adaline Virginia Bunn Moore, Adaline Bunn Moore, Adaline Virginia Moore, Adaline Moore. [S961] Find A Grave, online at http://www.findagrave.com, memorial for Adaline Virginia Bunn Moore, memorial no. 7735564, viewed on 10 May 2017. [S961] Find A Grave, online, above, memorial for Elias N. Moore, memorial no. 7735560, viewed on 10 May 2017. Byron Neil Webb. Photo originally posted to Find A Grave website by Find A Grave contributor, J_Dove222. Photo used by permission. [S961] Find A Grave, online at http://www.findagrave.com, memorial for Mary Thomas Fortson Webb, memorial no. 36191284, viewed on 10 Apr 2017 (naming Mary Thomas Fortson Webb as his mother). [S961] Find A Grave, online, above, memorial for Byron Neil Webb, memorial no. 36185040, viewed on 29 May 2017 (naming Mary Thomas Fortson Webb as his mother). [S961] Find A Grave, online, above, memorial for Dalton William Webb, memorial no. 36191489, viewed on 29 May 2017 (naming Dalton William Webb as his father). [S961] Find A Grave, online, above, memorial for Byron Neil Webb, memorial no. 36185040, viewed on 29 May 2017 (naming Dalton William Webb as his father). [S961] Find A Grave, online, above, memorial for Byron Neil Webb, memorial no. 36185040, viewed on 29 May 2017. [S961] Find A Grave, online, above, memorial for Wendell Maurice Webb, memorial no. 138864838, viewed on 29 May 2017 (naming Mary Thomas Fortson Webb as his mother). [S961] Find A Grave, online, above, memorial for Wendell Maurice Webb, memorial no. 138864838, viewed on 29 May 2017 (naming Dalton William Webb as his father). [S961] Find A Grave, online, above, memorial for Wendell Maurice Webb, memorial no. 138864838, viewed on 29 May 2017.